Supercharge your body, mind and spirit with this powerful blend of herbs. Drink daily to boost your immune system and strengthen all the systems of your body. 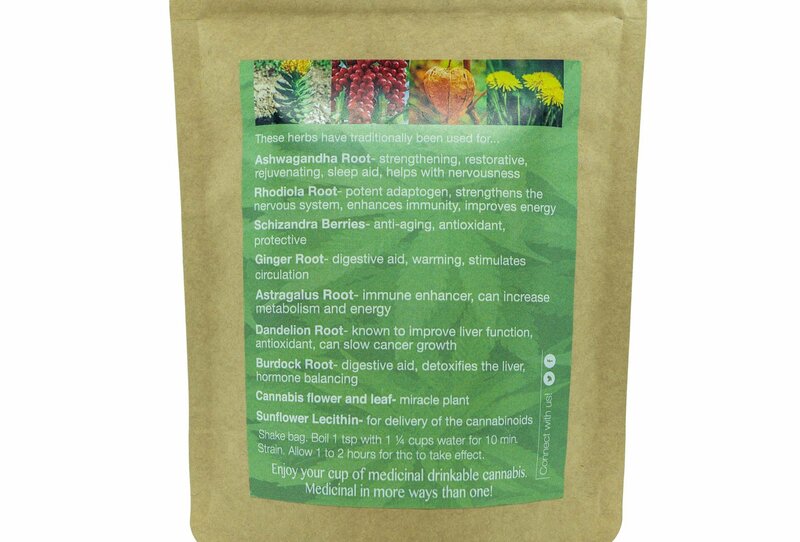 The adaptogenic herbs in this blend address whatever your body needs. Balancing, nourishing and strengthening. Helpful for anxiety, weakness, indigestion and appetite. Earthy, hearty flavor. Sunflower lecithin is part of the blend to enable efficient delivery of the Cannabinoids. No need to add milk or fat. 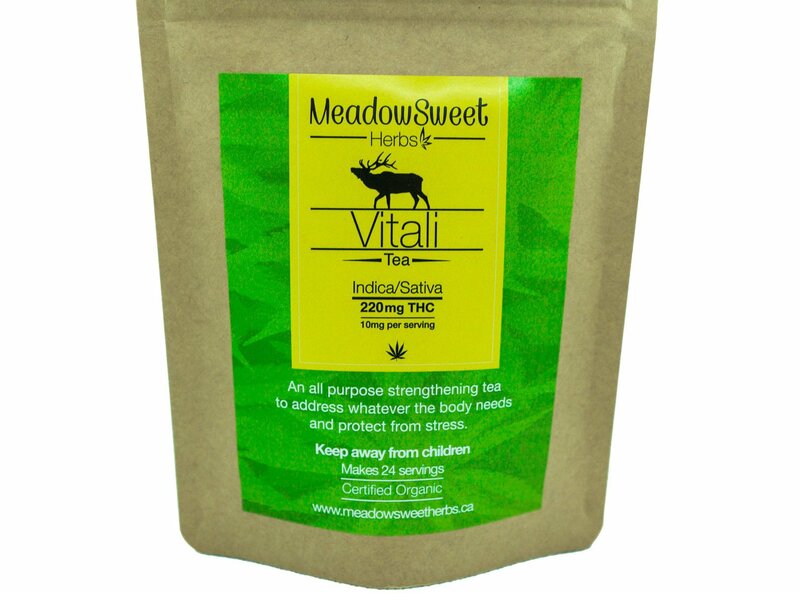 Sativa/Indica: 220mg THC (10mg of each per serving). Makes 24 servings. Ingredients: (Certified Organic) Ashwagandha Root, Rhodiola Root, Schizandra Berries, Ginger Root, Astragalus Root, Dandelion Root, Burdock Root, Cannabis Flower and Leaf, Sunflower Lecithin. Directions: Shake Bag. Steep 1 tbsp. in one cup of hot water. Strain or use a tea steeper. Allow 1-2 hours for the full effects before dosing again.